Heat oven to 450°F. Remove 2 pie crusts from pouches. On lightly floured surface, unroll and stack crusts one on top of the other. Roll to 17x12-inch rectangle. 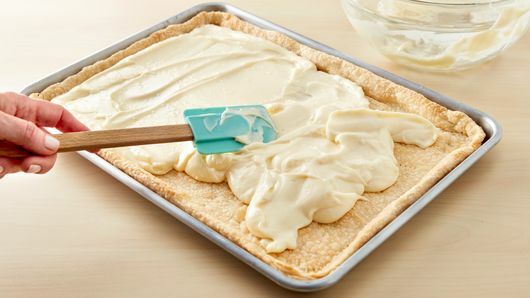 Fit crust into 15x10x1-inch pan, pressing firmly into corners and sides. Fold extra crust under, even with edges of pan. 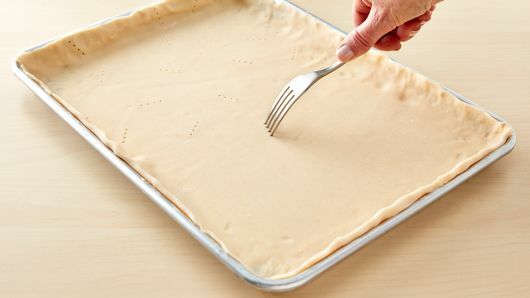 Using fork, prick all over bottom and sides. Bake 10 to 12 minutes or until golden brown and completely baked. Cool 30 minutes. Meanwhile, remove remaining pie crust from pouch. On lightly floured surface, unroll crust. Using rolling pin, roll pie crust into 12-inch round. 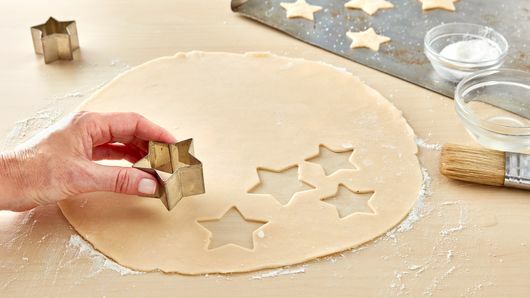 Using 2-inch star cookie cutter, cut out 50 stars from pie crust, rerolling scraps as needed. Place 1 inch apart on large ungreased cookie sheets. Brush water on tops of stars; sprinkle with sugar. Bake 4 to 6 minutes or until golden brown. Cool 1 minute on cookie sheet. Remove to cooling rack; set aside. In large bowl, beat cream cheese with electric mixer on medium speed until very smooth. Turn mixer to low; slowly add 1 cup of the milk. Beat in both boxes dry pudding mix, scraping bowl as needed. Slowly add remaining 2 cups milk; beat until well blended. Spread evenly over baked crust. 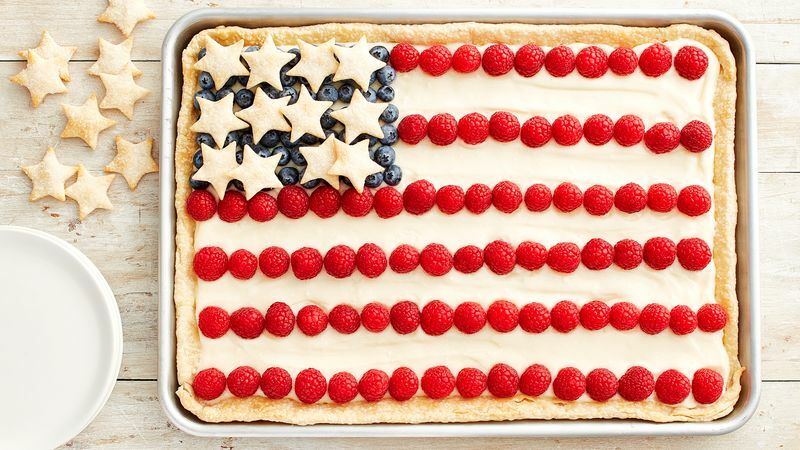 Arrange blueberries and raspberries on top of cream cheese mixture to look like flag. (Use photo as a guide.) Press fruit lightly into pudding layer. Refrigerate about 2 hours or until set. When ready to serve, place 12 stars on top of blueberries. Cut into 4 rows by 4 rows. Serve pieces topped with remaining stars. Store loosely covered in refrigerator. To ensure success, make cream cheese mixture exactly as directed—slowly and gradually! For a different berry flavor, replace raspberries with sliced strawberries! Coarse sparkling sugar adds extra sparkle to star cutouts and can be found in the cake decorating section at most grocery stores. No sparkling sugar? Try granulated sugar.